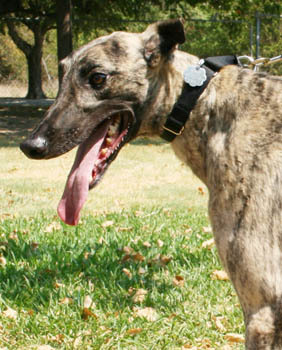 Enzo, aka CTW Loco Lorenzo, is a 3-year-old light brindle male born March 16, 2009. His dam is CTW Outa Sight and his sire is CTW Legendary, making him half-brother to Sweeper and Lizzie. 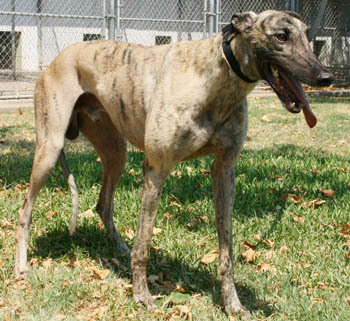 Enzo's short 5 race career started at the Tri State track on December 3, 2010 and ended on January 7, 2011. 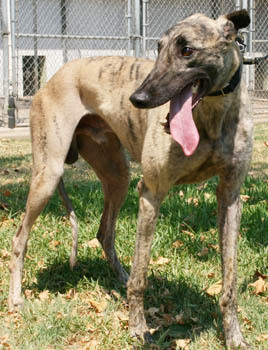 While his racing career never got off the ground, Enzo is sure to be a great success as a pet! Enzo has not yet been tested with cats or small animals.